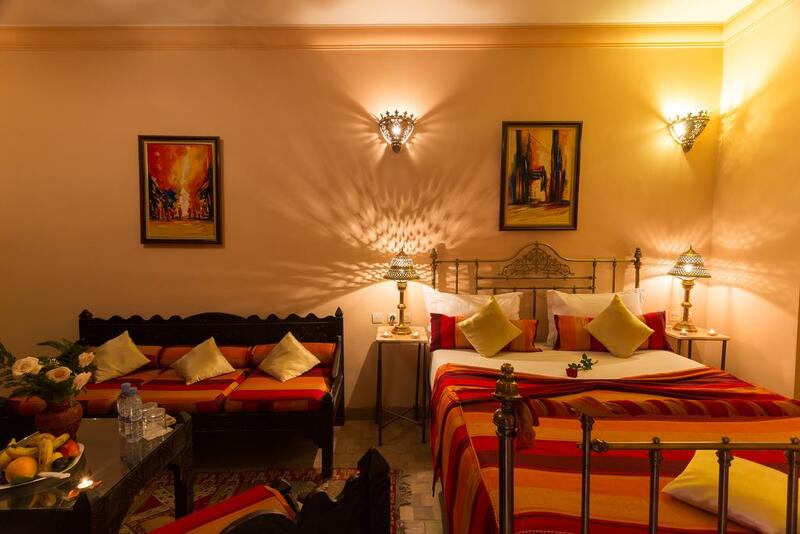 Isolated from the hustle and bustle but at the same time in the heart of the ochre city, the Riad Ain Marrakech is a privileged space mixing comfort, security and privacy. 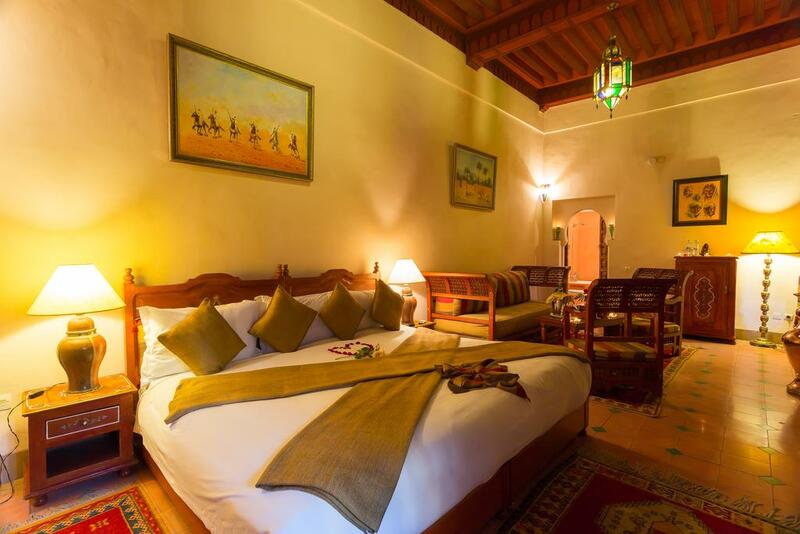 The rooms at the Riad Ain Marrakech are decorated in a Moroccan style with walls in tadelakt and traditional tile work. 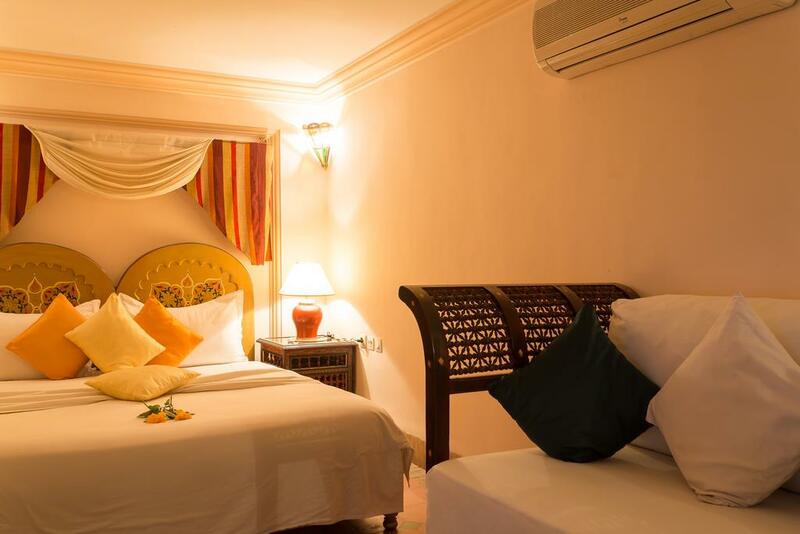 With views to the inner patio, they are equally equipped with private bathroom. 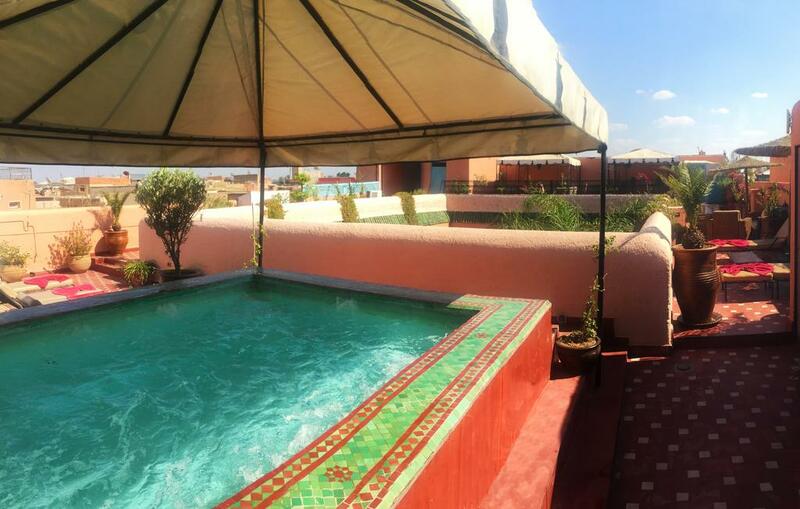 It has a patio, a friendly space, place of exchange and meeting; like the Jacuzzi with colorful mosaics and convertible roof, where you can sunbath. . 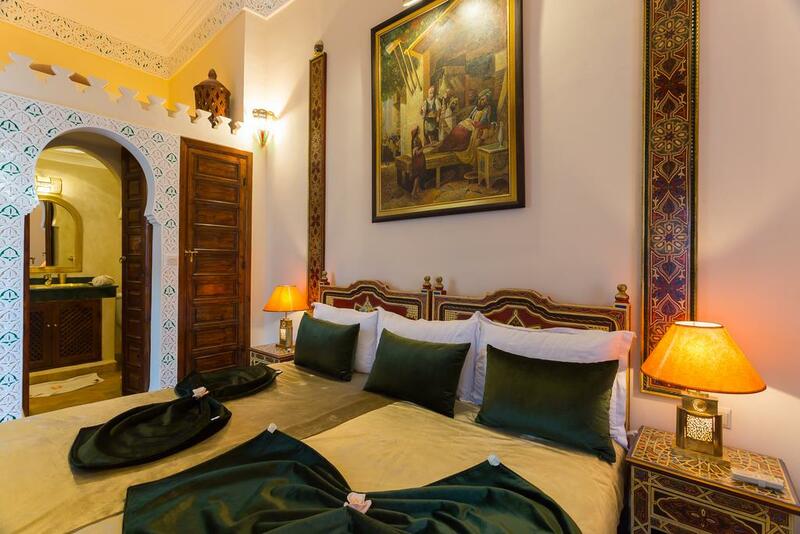 This hotel offers a spa and a hammam, an exclusive space for you, where you can relax enjoying a traditional Moroccan bath style. There's also a solarium, massage service, and terrace. On the ground floor, with access to the patio, you will find the lounge. 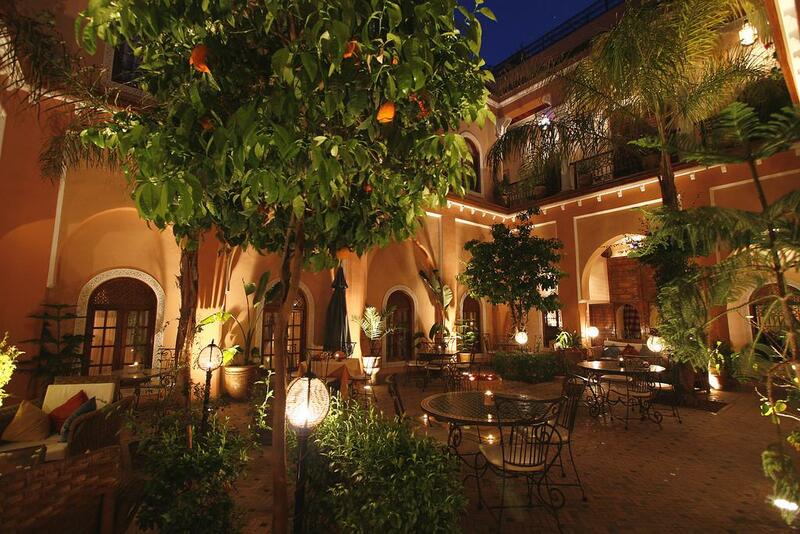 The hotel has an Moroccan style decoration with a refined design. This place has a pleasant weather, event during the hottest days. 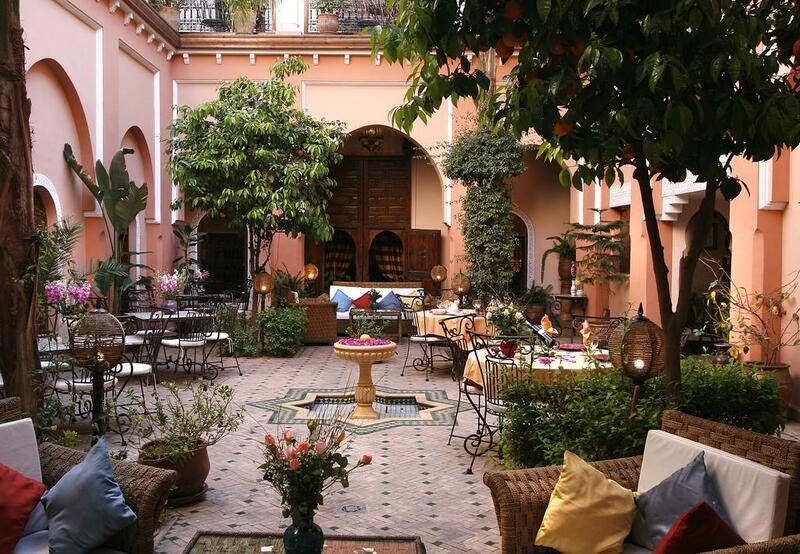 The Riad Ain Marrakech has a restaurant, which offers a rich and varied breakfast and where you can enjoy great Moroccan meals. Free Wi-Fi. *Contact the hotel in advance to book the shuttle service. 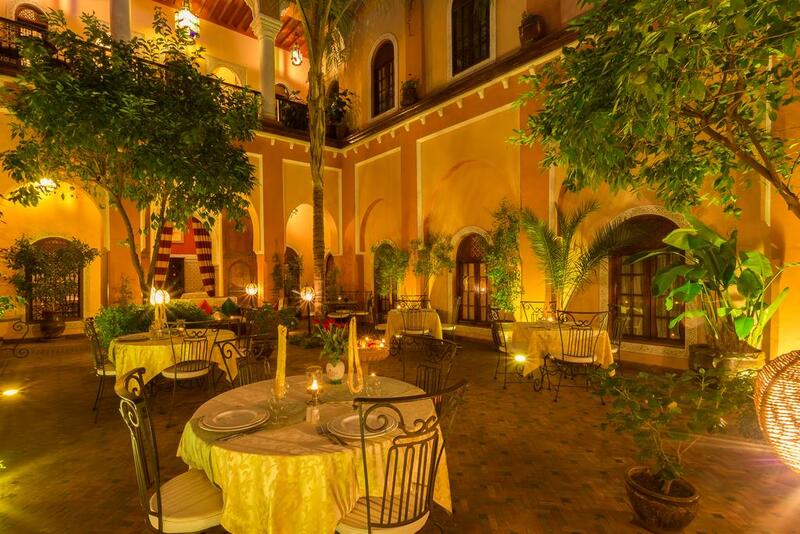 Directions: From the airport of Marrakech: Follow indications to the downtown. 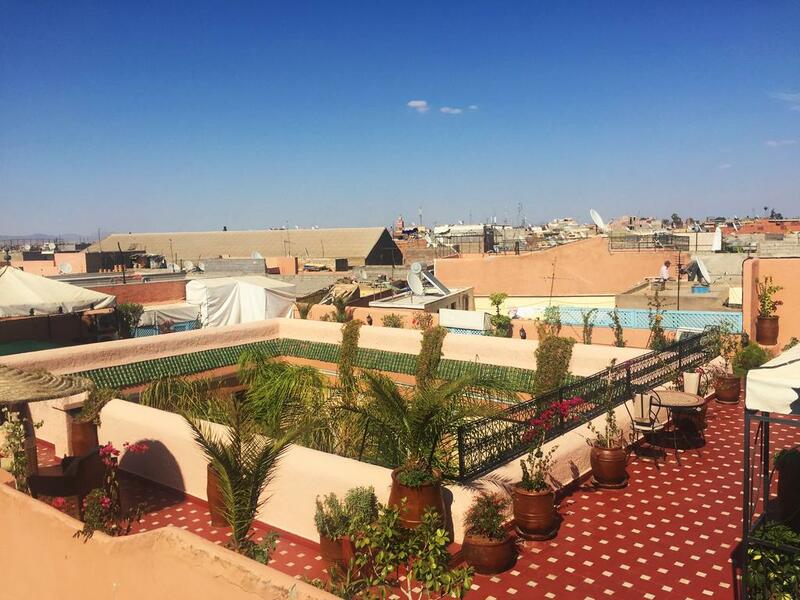 When you arrive to the Koutoubia turn right to street Sidi Mimoun. Afterwards take the first street to the right and then the first to the right again. Board Basis - Bed & Breakfast.